The week of February 11–15, 2019, is Love Data Week. 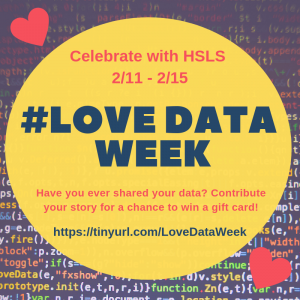 To celebrate, HSLS Data Services will be hosting a variety of activities, workshops, and giveaways throughout the week. Stop by the library to engage with colleagues and librarians and learn best practices and tips for loving your data. Unsung heroes—women physicians who were rejected from the U.S. Medical Corps but decided to join the efforts of World War I anyways. 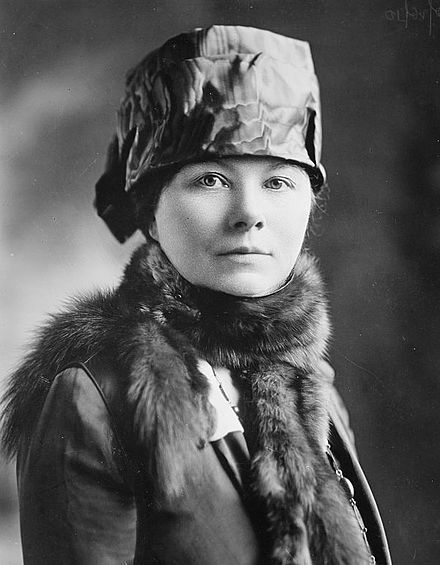 These women, who were eager for the chance to serve their country and advocate for their capabilities as medical professionals, are the subject of a traveling exhibit by the American Medical Women’s Association (AMWA). Falk Library is now hosting the exhibit of photographs, books, and a 15-minute video that details their remarkable stories. This year, NNLM MAR provided about $450,000 in subawards to Network member organizations in Pennsylvania, New York, New Jersey, and Delaware. Subawards are typically small (this year’s range from just $600 to $20,000) and allow NNLM MAR to expand training of National Library of Medicine resources and increase the access to and use of high quality health information across diverse populations around the region. We know very little about the author of an unusual book on hernia found in the Falk Library Rare Book Collection. Jean Pierre Le Rouge was a surgeon at the College of Surgeons in Paris and at the Hôtel-Dieu in the second half of the 18th century and was the author of two books on hernias. 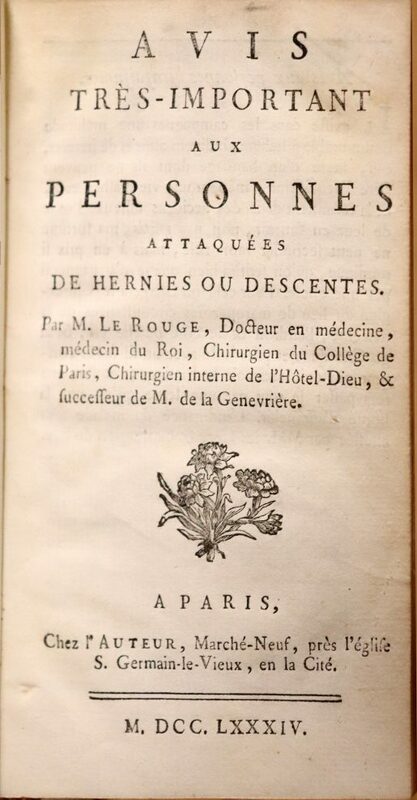 He had 17 years of experience working at the biggest hospital in Paris, Hôtel-Dieu, when he published his first popular work Avis très important aux personnes attaquées de hernies ou descentes [Translation: Very important notice to people attacked by hernia] in 1784. A year later, in 1785, his thesis Dissertatio anatomico-chirurgica de perfecta inguinalis herniae simplicis curatione [Translation: Thesis on the treatment of inguinal hernia] appeared. Both books are very scarce. All author names in bold are HSLS-affiliated. 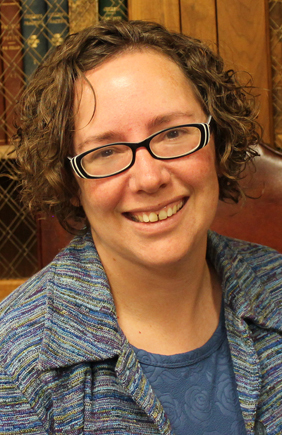 J. Donovan, T. Chung, M. Klein-Fedyshin, Research & Clinical Instruction Librarian, published “A Meta-Analysis of the Relationship between Parental Drinking and Adolescent Drinking” in PROSPERO International Prospective Register of Systematic Reviews, 2019: CRD42019119545. B. Fields, R.L. Turner, Coordinator of Liaison Services, M. Naidu, et al., published “Assessments for Caregivers of Hospitalized Older Adults” in Clinical Nursing Research, 2018: 1-21.